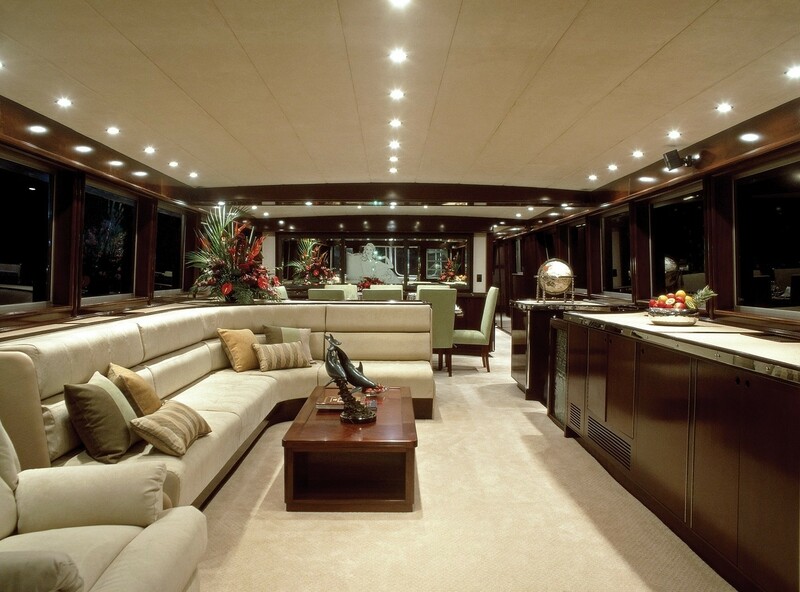 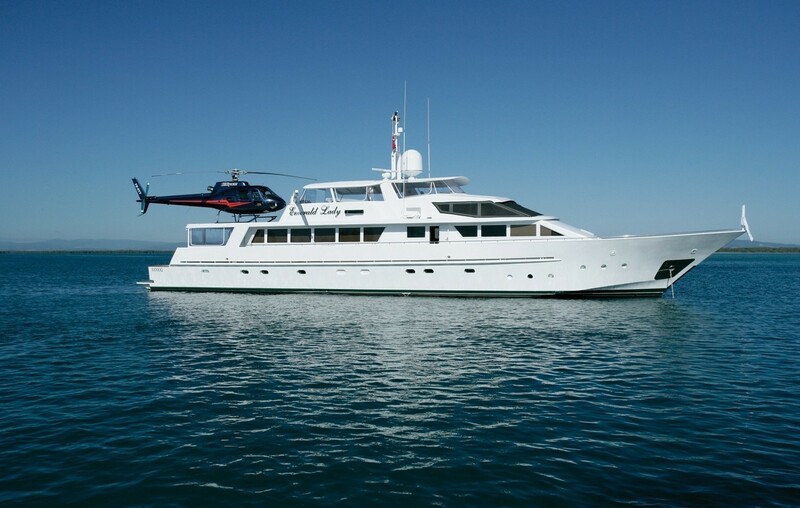 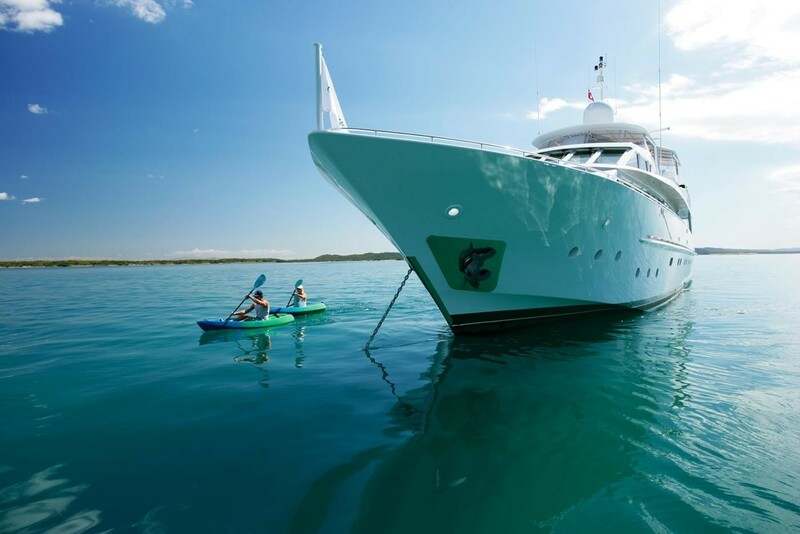 The 35 metre (114'10'') luxury motor yacht Emerald Lady (previously known as yacht Lady Barbara) is a beautiful Benetti built vessel with clean lines and classic exterior styling, offering accommodation to eight charter guests. 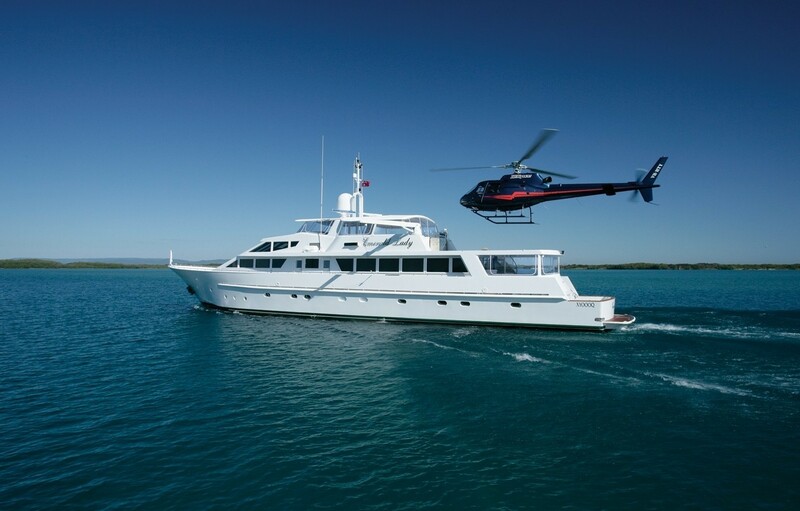 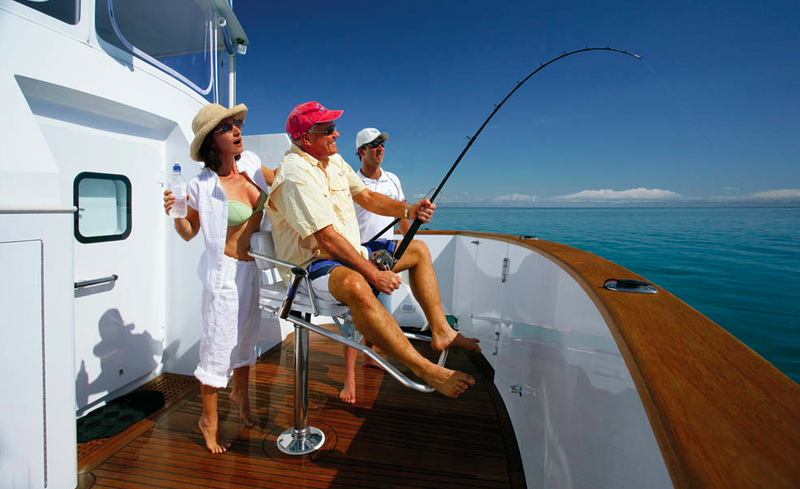 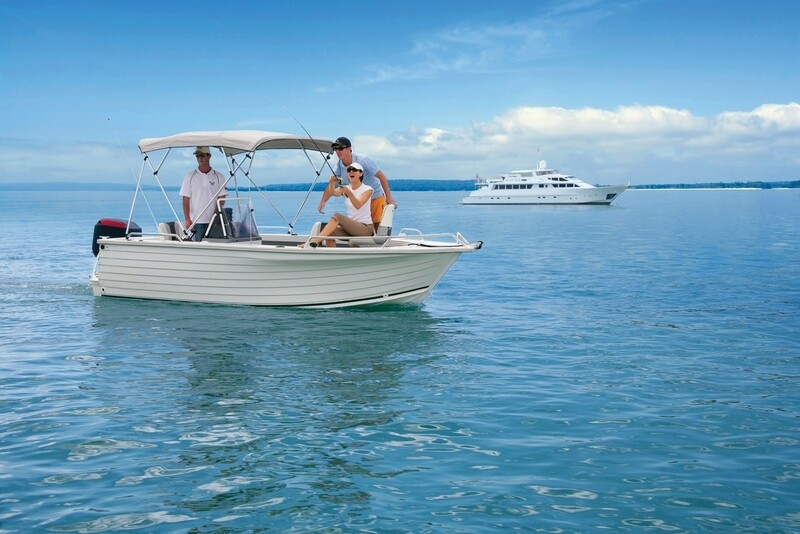 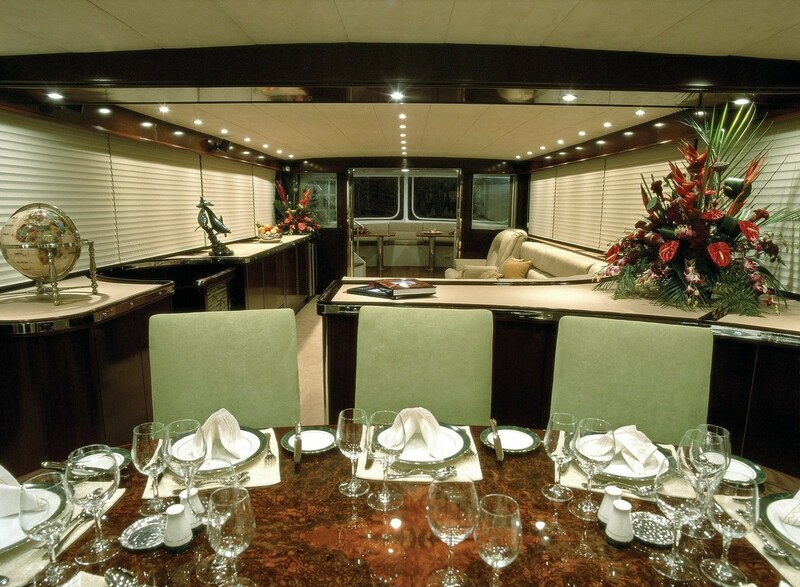 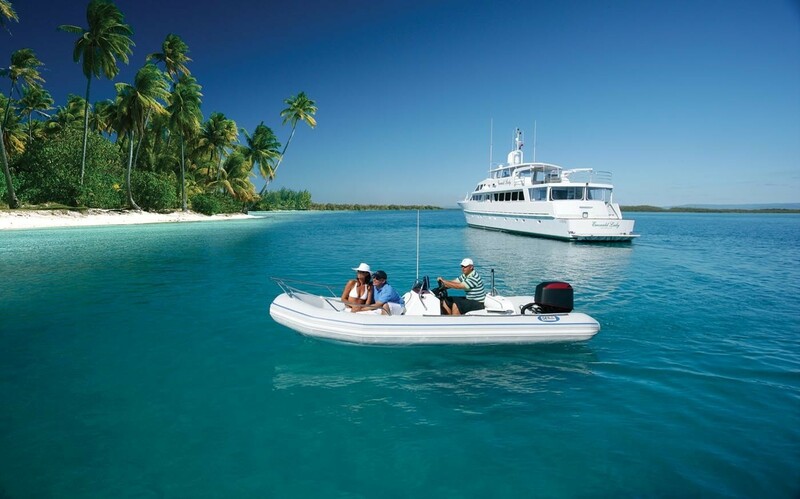 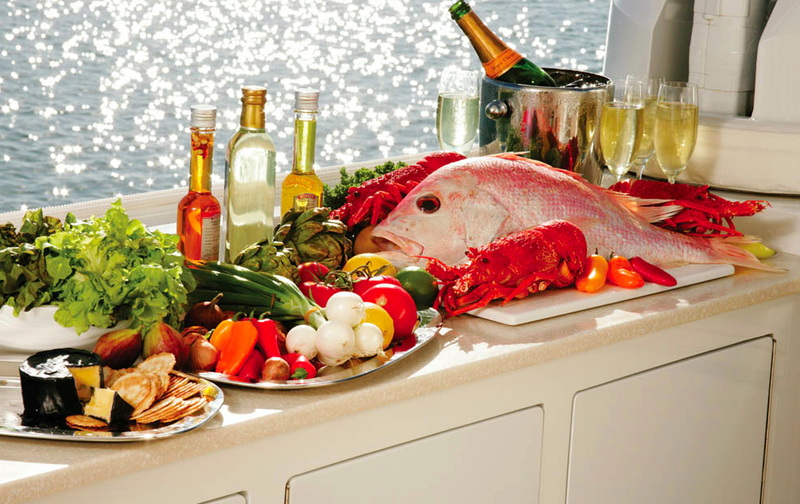 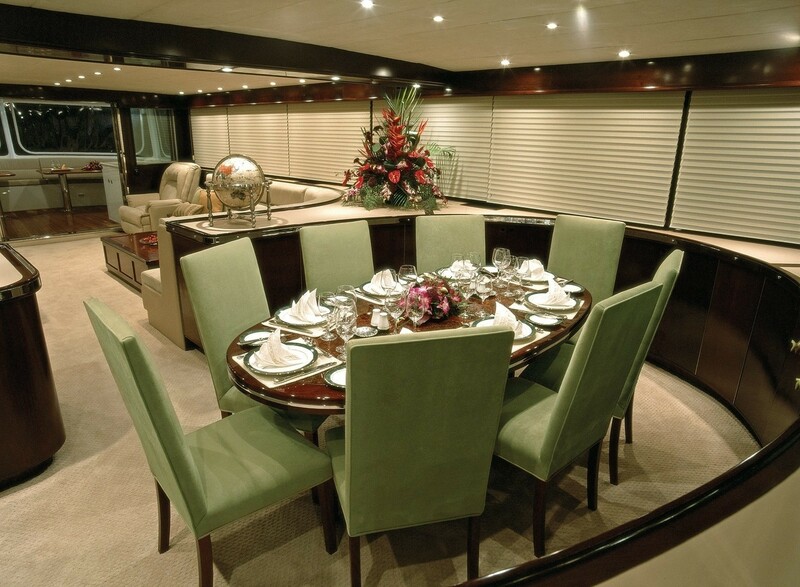 Yacht Emerald Lady is an excellent choice for charter guests keen on fishing; boasting a game fishing chair attached to the lower deck and she can also be used as a mothership for game fishing excursions. 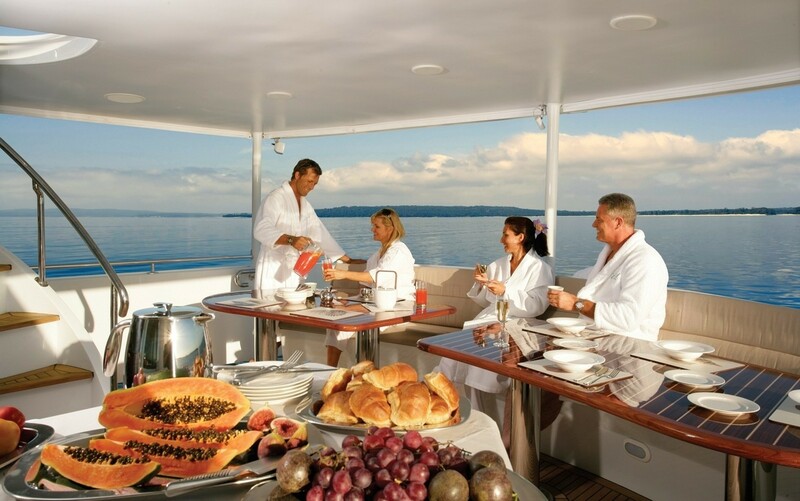 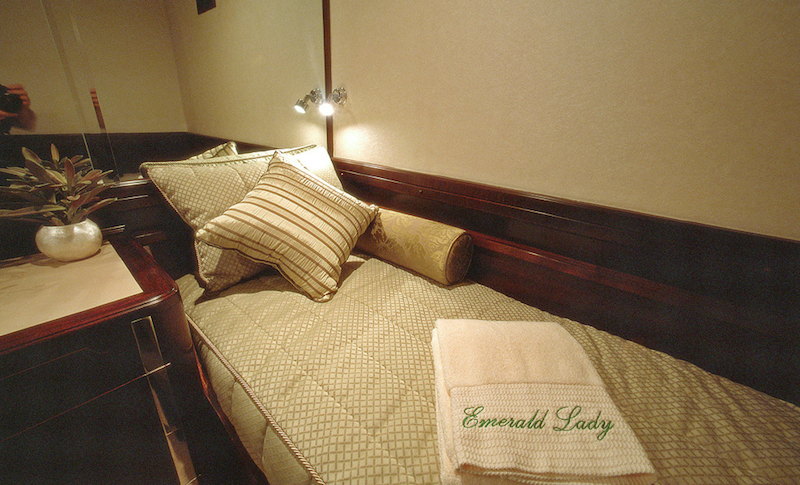 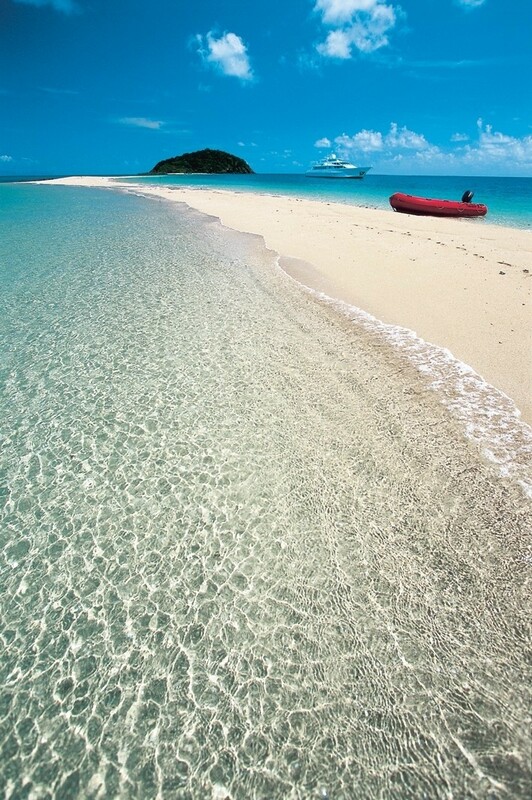 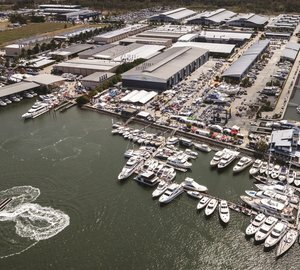 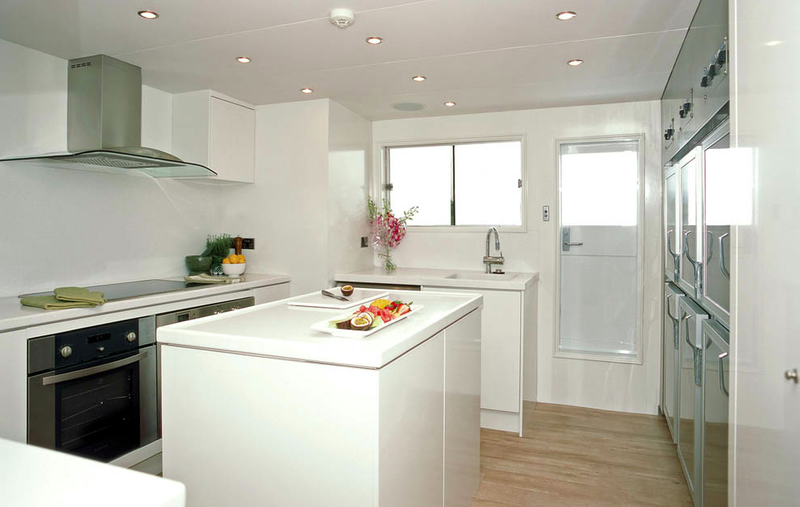 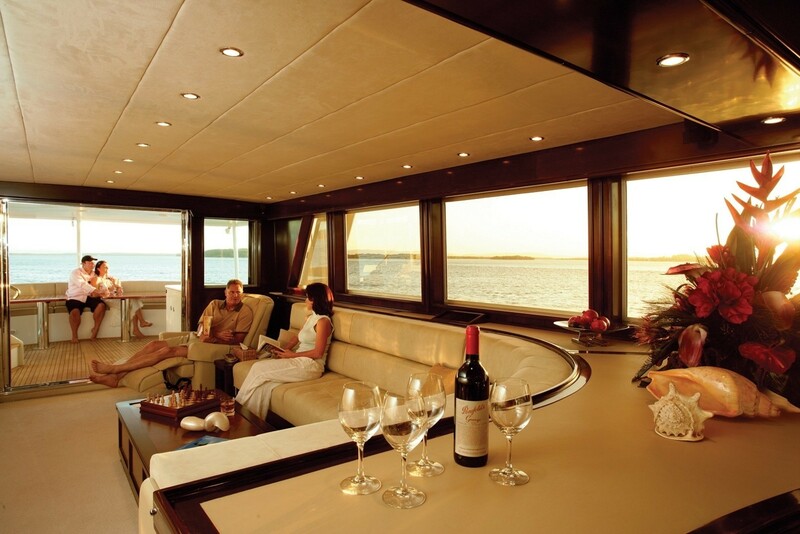 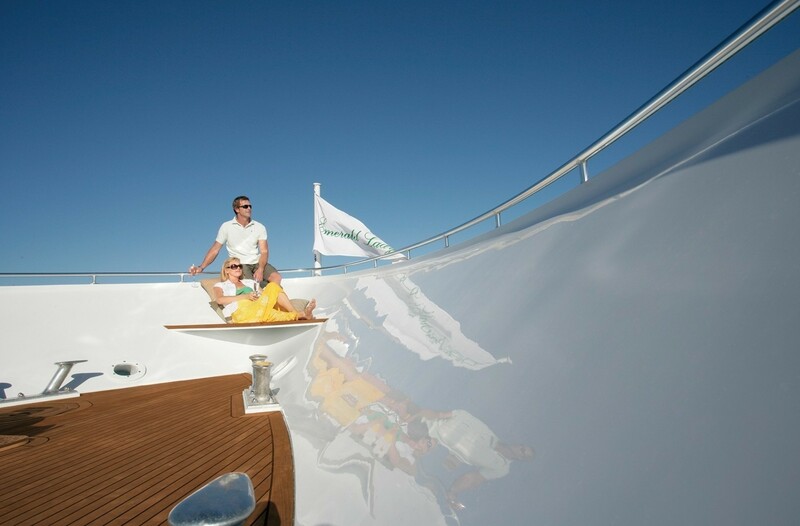 Elegant accommodation, offering four cabins to 8 guests in total, boasts en-suite bathrooms, quality linens. 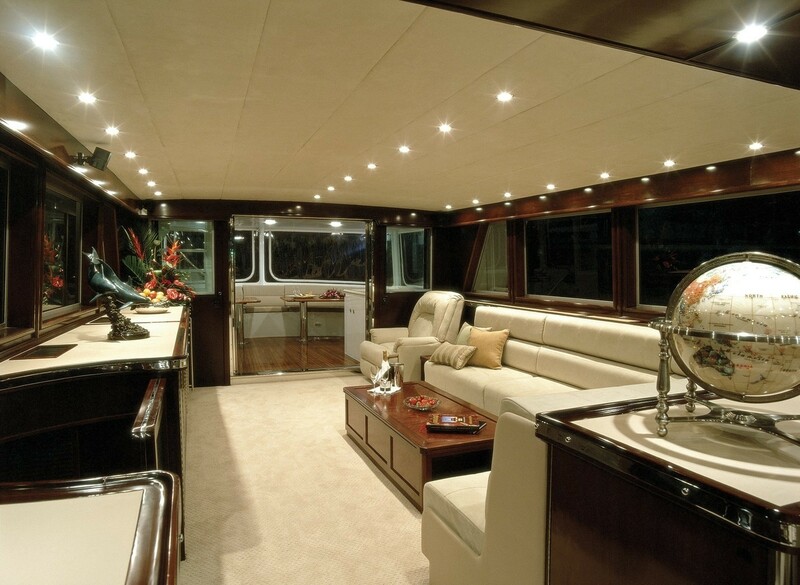 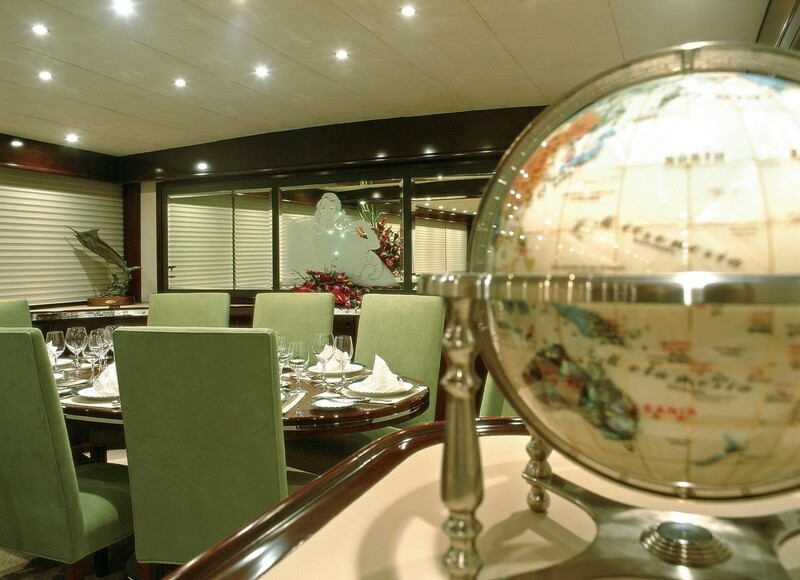 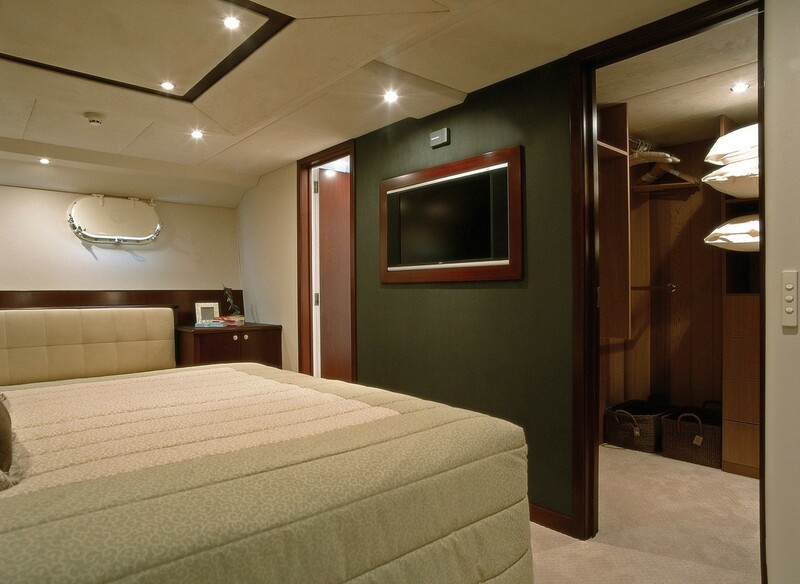 In addition all staterooms are equipped with DVD/CD and tuner units, satellite TV reception, LCD TV screens, air conditioning. 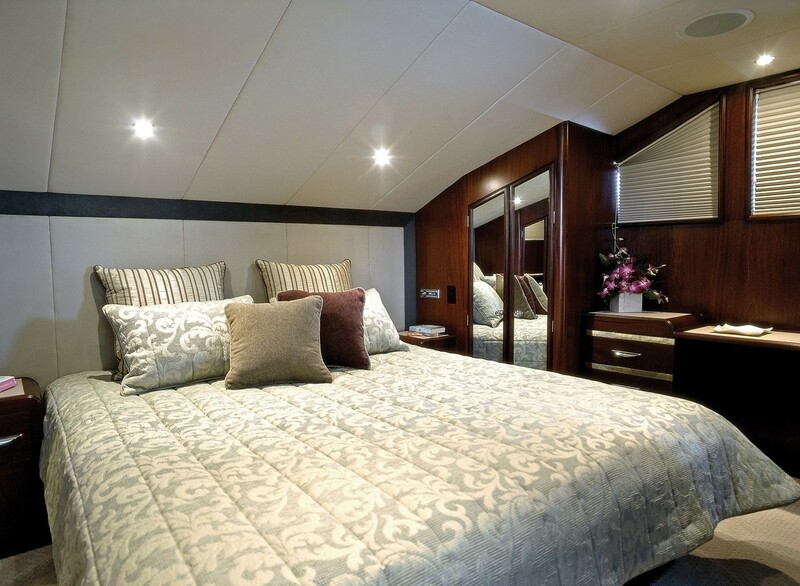 The Master Cabins features a king-sized bed, walk-in wardrobe, double shower en-suite, a lounge and a mahogany desk. 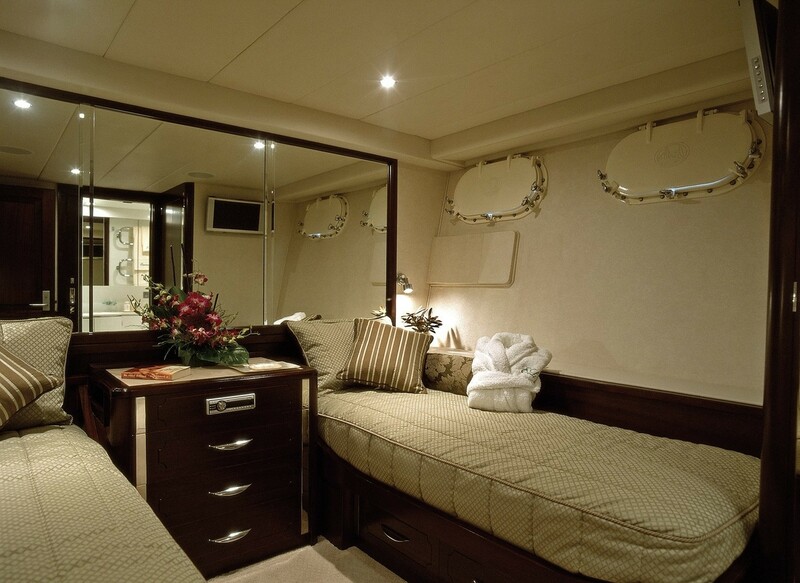 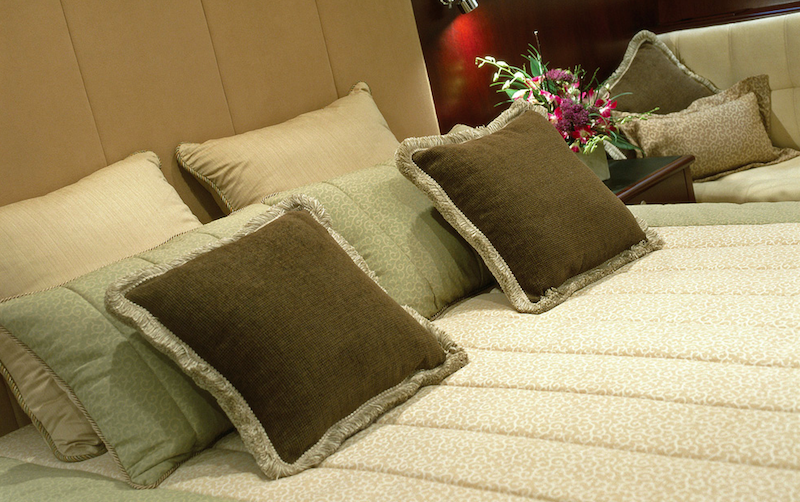 The VIP cabin boasts a king-sized bed as well as separate full-length wardrobes. 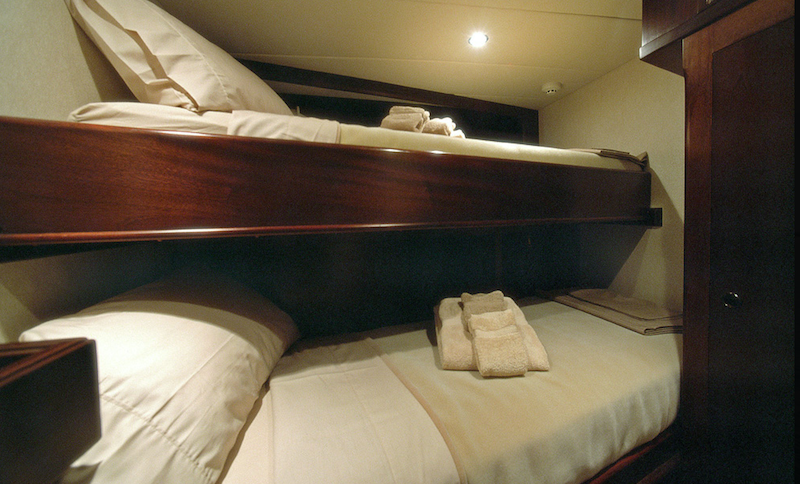 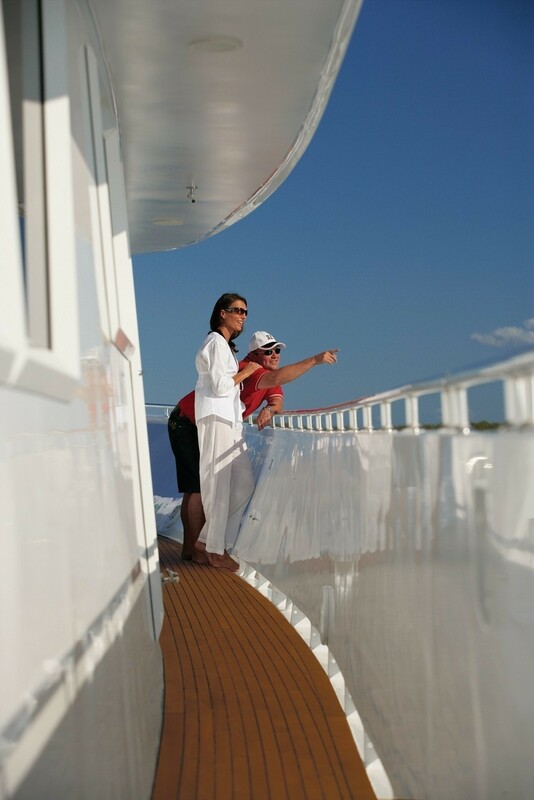 Additionally, the two lower guest staterooms are equipped with twin single beds as well as full length wardrobes.